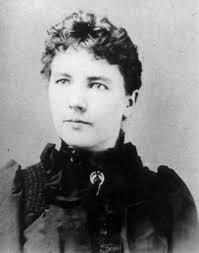 Today is the birthday of a very important woman Laura Ingalls Wilder. 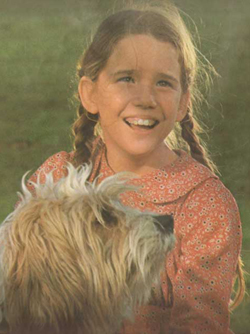 Most of you will know her as the woman who wrote the Little House On The Prairie books or even the little girl in the television show portrayed by Milissa Gilbert. in many ways this woman has made a big impact on my life since she died in 1957 I clearly have never met her. But the words that she wrote in her books have helped guide my through so many of life’s tricky situations. Sure, our lives were completely different, many of the lessons she wrote about can still apply to girls lives today. Her words have gone on to inspire generations after generation. First the generations who read her books using their imaginations to envision what these strong characters looked like. Then the generations who were influenced by the television show that was on for 9 years. I grew up watching reruns and reading her books during my school reading hour. The adventures of Laura and Mary were inspiring to me and they also taught me so much about life. Sure I was never going to grow up on the Prairie or experience the fears of going blind like Mary did. But still these books and television episodes tell the stories of amazingly strong woman in a time where that wasn’t the norm. To Me Laura Ingles Wilder is a role model, she was a woman ahead of her time. Both me and my daughter love the reruns of this TV Show, I agree that She makes a great role model for young girls like my daughter! I am glad that others feel the same way about this amazing woman!! She has done great things for women! OMG I used to love watching that show.. I didn’t really have cable so I had to watch that every night lol.. Happy cake day to her! When I was home sick from school I would watch reruns all day! Its one of my favorite memories actually. To this day I will not pass the show without watching it!